I hope everyone had a restful and relaxing break enjoying precious quality time with loved ones. We are so excited to kick the new year off with a health and wellness themed fundraiser called the HERO FIT CHALLENGE. We are partnering with Boosterthon to help us create a fun and fitness related event while raising funds for our school! To kick off this fundraiser on January 22nd, the folks at Boosterthon will hold a pep rally in the morning for the kids in the multi purpose room. During this time, they will learn about the challenge as well as how they can help their school earn money. Your kids will bring home a pledge book with instructions. The actual HERO FIT CHALLENGE event will take place on January 31st and you are welcome to attend and cheer your kids on. Stay tuned for more information with more details of this event. We have a goal of raising $15,000 and proceeds of this two-week fundraiser will go towards increased classroom funds, new playground equipment and much needed school supplies. I would like to take this time to thank our three sponsors who have donated to Vinci Park PTA so that every student and staff member at the school will receive a Hero Fit Challenge t-shirt! Thank you to: Packet 6, Sunshine School and Mainstream Electric Inc., for your tremendous generosity! Please reach out to us at ptaboard@vinciparkpta.com if you have any questions about the fundraiser. On behalf of the PTA, we would like to express our gratitude to all of you who read our newsletters/flyers/posters, attend our PTA meetings, sign up to volunteer, show your support by attending our events or simply saying hi to us in the school yard. Your participation and support means the world to us and to show our appreciation, we are holding another Pastries with Parents event on February 5th from 7:30-8:00 am in the multi-purpose room. This is a free event and an opportunity for you to have breakfast with your child(ren) before they head off to class while getting to know other parents and educators in our community. It is so hard to believe that winter break is over and 2019 is upon us! This school year is going by so quickly and Spring Break will be here before we know it. We are excited for a new year and the sense of excitement and renewal brought with it. Once again, we are so grateful for all the students, parents, and staff that bring joy to us on a daily basis. We truly hope that everyone had a safe and relaxing winter vacation! January is a great time to reflect on the areas in our live where we felt successful during the past year. It is also a time to consider how to make changes in areas where we would like to improve. One of the focus areas at Vinci Park is reading. So we encourage all of our families to read, read, read – success in school depends, in large part, on a student’s ability to read and understand what they have read. Students should read a variety of books, including folktales, poetry, biographies, fiction, and more. Read to get information, read for fun, read to someone in your family…just read! Our SSC members met in November and reviewed and approved our school plan (SPSA) and the plan was approved by the Berryessa Union School Board in December 2018. Vinci Park’s SARC (School Accountability Report Card) was also published this week, you can find both of these documents online. We also have hard copies available in the office if you would like a hardcopy. We have so many wonderful and exciting events coming up a Vinci Pak, please take the time to participate and support our students, staff and parents. Every May the PTA hosts it’s spring festival called “Family Fun Night”. It’s a night filled with entertainment, games, raffle prizes, food, and family fun. If you would like to help plan for this year’s Family Fun Night please contact ptaboard@vinciparkpta.com to join the committee. Being part of the committee means that you will be able to bring your ideas to fruition! We will have our first planning meeting soon and we encourage you to bring your thoughts and ideas. More details and meeting times will be announced. Our January Vinci Blue Friday winners were Ms. Tsoi’s 3rd grade class and Ms. Perla’s 4th grade class. Our next Vinci Blue Friday will be February 1st. Every first Friday of the month each class competes to see who has the most spirit, aka “Vinci Blue Fridays”. Explorers, show your school spirit by wearing blue or a Vinci Park t-shirt or hoodie. The winning classes from both the lower grades (TK-3rd) and upper grades (4th-5th) will earn a small prize. The PTA, in collaboration with Vinci Park’s Safety Committee, is hosting a month long fundraiser from February 4th to March 4th with a local online company called Earth Shakes. Earth Shakes provides a full line of earthquake survival kits and emergency supplies for disaster preparedness. The kits are designed for individuals, families, businesses, schools and government agencies emergency kits and products to support the aftermath of major earthquakes, natural disasters like hurricanes, floods, tornadoes and earth changes. Equip your home and cars with an emergency kit and make sure your friends, family, co-workers do as well. Additional information will be sent with students as we near closer to February. During the fundraising month, samples of these kits will be available in the front office for families to take a closer look of the products. A portion of the proceeds will go towards upgrading and adding to Vinci Park’s emergency supplies. Orders will be delivered the week of March 18th. The purpose of the nominating committee is to recognize and seek qualified nominees for the elected leadership of the PTA for the following 2019-2020 school year during the Spring PTA Board Elections. Any PTA member can be on the nominating committee with the exception of the current PTA President. During the April PTA associate meeting, the nomination committee may nominate eligible candidates from the floor. A candidate’s consent must be secured before they may be nominated. A candidate does not have to be present to be nominated, but the person nominating them should have the consent of the nominee prior to the nomination. In May, PTA elections will take place and a candidate will be voted upon for open board seats. The following are available PTA Board positions for the 2019-2020 school year. Minimally, the positions of President, Secretary and Treasurer are required to be filled in order to operate as a PTA unit. If these three positions are not filled, then Vinci Park PTA will have to disband. Please consider one of these positions to help continue the important impact that Vinci Park PTA has on our students and teachers. President: Leads the PTA toward specific goals chosen by its members, consistent with the policies and purposes of the PTA. The president is the presiding officer and the official representative of the association and presides at PTA board and association meetings. Secretary: Encompasses the traditional roles of corresponding secretary and recording secretary, and is generally the keeper of the organization’s records, minutes and membership data. Treasurer: Keeps financial records and prepares reports to comply with local, state and federal laws. Presents the proposed budget to the executive board for suggestions. Vice President: Assists the president and helps lead the PTA toward specific goals chosen by its members. Fundraising Chairman: Works with a committee, appointed by the president, to plan and organize fundraising activities. Focuses on raising the amount of funds needed to meet the unit’s budget. Presents reports on proposed fundraising activities at board and association meetings for approval. Membership Chairman: The membership chairman is responsible for creating and implementing a membership plan, promoting membership throughout the year, providing membership reports at PTA board and association meetings, collecting dues, and distributing membership cards. 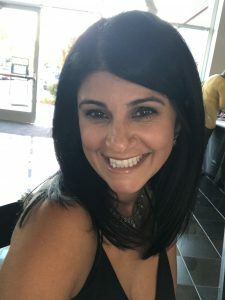 Program Chairman: Works with committee, other PTA board members and school staff to plan, organize and implement programs for the school year. Develops annual program calendar and presents it at PTA association meeting for adoption. Parliamentarian: Assists the president to manage meetings and advises on parliamentary procedure. Chairs bylaws committee to review unit bylaws each year and revise bylaws every three years. Arranges nominating committee’s first meeting, providing information on nomination and election process. 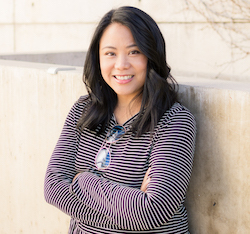 Volunteer Coordinator: Collaborates with other PTA board members, teachers and administrators to assess and identify how parents/guardians and community members can get more involved at school as volunteers. Oversees volunteer recruitment, training and assignments. In the Fall, our Explorers submitted 3146 Box Tops back in October, generating $314.60 for Vinci Park. Let’s see if we can beat this number on our next Box Top submission date on February 15, 2019. You can turn in the Box Tops directly to your teacher. Remember to keep collecting Box Tops year round. We conduct collections twice per school year. What are Box Tops? 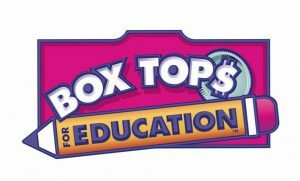 The Box Tops For Education program allows you to earn cash for Vinci Park by clipping the Official Box Tops for Education “Box Tops” from the packages of hundreds of purchased participating products. A list of participating products may be accessed at www.boxtops4education.com/earn/participating-products. 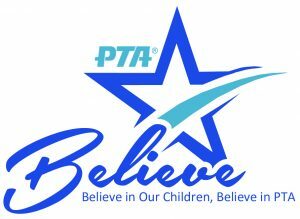 Our next PTA meeting will be held on Thursday, February 14th at 7:15 am in the staff lounge. Parents! One of this year’s main fundraiser is the HeroFit Challenge! It’s a two-week program that kicks off with a Pep Rally on January 22nd. Families will then gather pledges for every exercise set, or Fitness Challenge your student completes (30-35 exercises), and we’ll celebrate at the HeroFit Challenge on January 31st. With our big goal of raising $15,000 for playground equipment, increased classroom funds, and supplies for the school, we asked the fitness and fundraising experts at Boosterthon to power our event and make it easier, more profitable, and more fun. Donations will go toward fundraising items and to the entire two-week experience. So please help our school by reaching out to sponsors. Also, all families are invited to come out and cheer on your student at the HeroFit Challenge! Thank you for your support! Wake up with the PTA and enjoy breakfast with your child before school! This is a community event and an opportunity to acquaint yourself with the PTA. Come say hello and let us know how we’re doing. This is also a chance to ask how you can become more involved. Vinci Park PTA will be serving FREE pastries, coffee, juice and milk in the multi-purpose room. Please RSVP by Wednesday, January 30th. Forms will be sent home soon. *Parents, grandparents, guardians, or any adult in your child’s life are welcome. Join us with your blankets, pillows and portable chairs for a free movie night community. Our event always fills up quickly so arrive early. Concession Menu: Pizza $2, Chips $1, Cookies $1, Water & Juice Boxes $1.